Emily Curtis is used to dealing with her problems while under the hood of an old Chevy, but when her mom dies, Emily’s world seems shaken beyond repair. Driven from home by hospital bills they can’t pay, Emily and her dad move in with his wealthy sister, who intends to make her niece more feminine—in other words, just like Whitney, Emily’s perfect cousin. But when Emily hears the engine of a 1970 Dodge Challenger, and sees the cute gearhead, Zander, next door, things seem to be looking up. But even working alongside Zander can’t completely fix the hole in Emily’s life. Ever since her mom died, Emily hasn’t been able to pray, and no one—not even Zander—seems to understand. But sometimes the help you need can come from the person you least expect. When my friends at Zondervan asked me to write a non-Amish Young Adult book, I was intimidated at first. After crafting three Amish novels, I wasn’t certain where to begin with a non-Amish book, especially a Young Adult story. I studied both inspirational and secular Young Adult authors, and I soon realized that I had a story to tell. As the child of working class parents living in an affluent New Jersey suburb, I knew firsthand what it was like to feel inferior and struggle to fit in with the my peers. 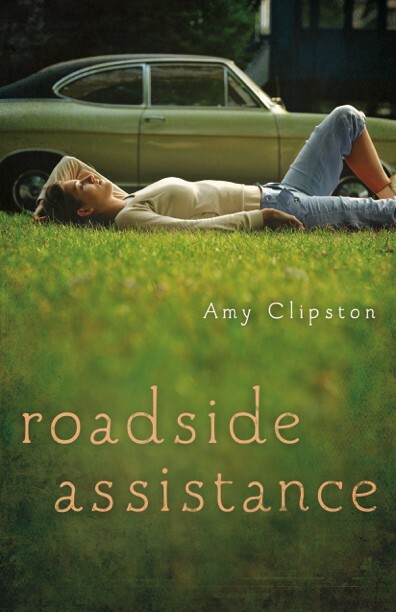 In Roadside Assistance, Emily’s story came from my heart and her emotions are loosely crafted from my own memories of my rollercoaster high school days. I hope this story will speak to girls and give them hope when they go through those difficult times.